Bimo Nkhata is the designated project manager of the International Water Security Network in Africa, representing Monash University South Africa where he is employed as Director and Associate Professor of the Water Research Node. Bimo provides strategic leadership of the Node, oversees delivery of graduate level teaching programs, and fosters excellence in water research. Over the years his research interests have centered on the complex, dynamic linkages between ecological and social systems. Particularly, he has sought to improve understanding of the processes involved in the governance of natural resources. He has a PhD from the University of KwaZulu-Natal (UKZN). Bimo has over 22 years of professional experience working in the environmental and water sectors in Africa. 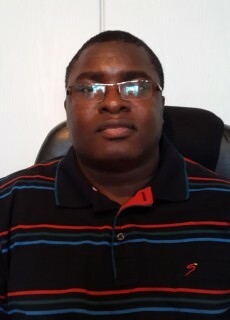 He has been involved in and led several public planning processes for African freshwater ecosystems, and has also spearheaded a number of policy making processes. He possesses in-depth knowledge about national water policy development and reforms in Africa, and has published widely on water governance, policy and property rights. He have lived and worked in Kenya, South Africa and Zambia over extended periods and travelled extensively within Africa covering over two thirds of the continent. Over the years, Bimo has acquired an international reputation of engagement with both the water researchers’ and practitioners’ communities. Currently, he is responsible for developing and sustaining the partnership network of the Water Research Node at Monash South Africa that includes major international partners. He is also an active member of several African research and policy bodies including the Insaka International University Consortium and the Africa Forest Forum.